The best deal! 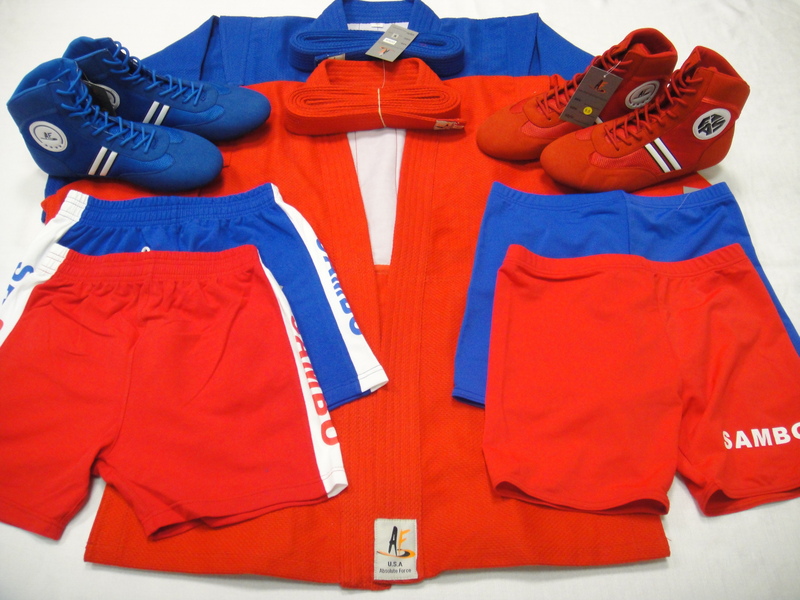 Absolute Force complete Sambo Uniform set include 8 pieces: 2 X Sambo Jacket (one blue, one red), 2 X Inside Elastic Shorts (one blue, one red), 2 X Sambo Shorts (one blue, one red), 2 X Sambo Shoes (one blue, one red) This set offers complete equipment you need to compete in Sambo, one set of blue color, and one set of red color. Fully FIAS approved. All Sambo shoe sizes are in US Man's Size. Please refer to sizing chart.